Year of identification was back in 1893 of which the species remains endemic and extant to the United States, State of California. Environmentalists undertook two census’s of the species’s current population size, known threats and any new threats to the species back in 1996 and, 2000. Both census’s revealed few changes with regards to current status, of which the species was listed as endangered from 1996 and again in 2000. 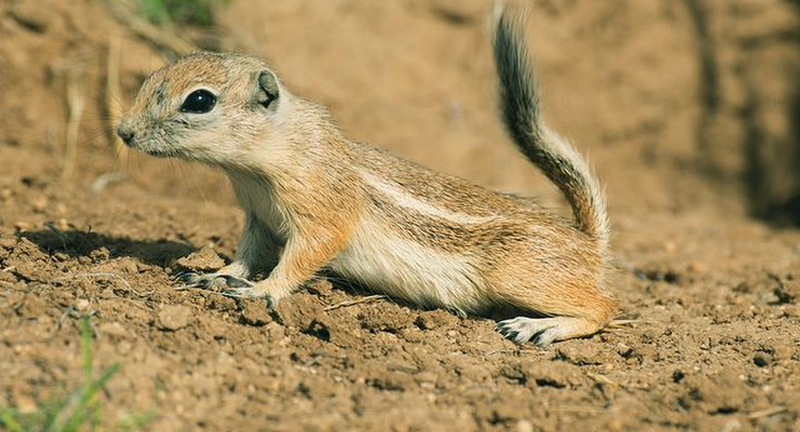 Today the San Joaquin Antelope Squirrel as the rodent is commonly know remains at [critically endangered] level. Populations are continuing to decline within a country that one would expect to see good conservation measures increasing population sizes and, eliminating any new and past threats. To date the current population size remains unknown which “may-well be why the species has qualified for listing on the [critically endangered] list”. Scientists undertook a rather crude population survey on three to ten squirrels per hectare on 41,300 hectares of the best and known remaining habitat. The survey then provided a rough estimate of which stated population sizes could be standing at [124,000 – 413,000]. However as the true population size is currently unknown one must not take this survey into consideration when documenting or teaching students. The following estimates were based on more in-depth multiple crude evaluations back in . Current “trend” evaluations from 1979 have confirmed that many San Joaquin Antelope Squirrel populations have unfortunately decreased throughout their known range although, even these surveys are still pretty much sketchy. A further trend evaluation survey back in 1980 revealed more-or-less the same findings from (1979) of which the species has decreased through much of its small (clustered range) manly within, San Joaquin Valley, California. Recent protection efforts in the southwestern San Joaquin Valley likely have to some degree slowed the rate of decline and, the species remains common in [some protected areas]. Probably the rate of decline is less than 30% over the past 10 years. Nevertheless the species is still in decline over much of its range and, despite conservation efforts the San Joaquin Antelope Squirrel is sadly nearing extinction (within the wild). 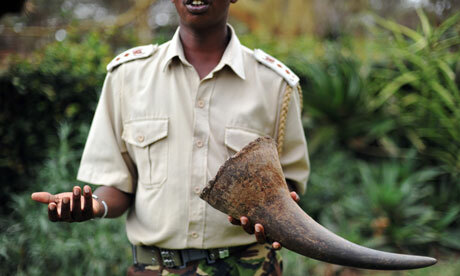 Data proves for now the species has declined throughout much of its former range by some twenty percent. Back in 1979, extant, uncultivated habitat (but including land occupied by towns, roads, canals, pipelines, strip mines, airports, oil wells, and other developments) for the species was estimated at 275,200 hectares (680,000 acres, 2,752. None of the best historical habitat remained. One study indicated that densities in open Ephedra plots and shrubless plots ranged from 0.8 to 8.0 squirrels per hectare, but all but two sites had densities of four or less per hectare. Densities on shrubless, grassy dominated sites were equal to or higher than those on shrubby sites. Breeding normally takes place during late winter to early spring of which young will normally be born from the beginning of March. Female gestation normally lasts no longer than one single month. Young do not normally emerge from the den until around the first or second weeks of April. The San Joaquin antelope squirrel has only one breeding cycle during the entire year of which this is timed just right so that when young are born there is much vegetation and food for young to feed and hide within after weening. Weening of young is believed to start before the young even emerge from the den. A. nelsoni is omnivorous, feeding mostly on green plants during the winter and insects and carrion when these are available. It occasionally caches food. The squirrels live in small underground familial colonies on sandy, easily excavated grasslands in isolated locations in San Luis Obispo and Kern Counties. Image: A. nelsoni. Credit (Mark Chappell). Half of the remaining habitat supports fewer than one animal per hectare, 15% of the remaining habitat supports 3-10 animals per hectare (generally four or fewer per hectare, California Department of Fish and Game 1990). The species Spermophilus beecheyi reportedly may restrict the range of A. nelsoni. Among several predators, badger is most important, and lives in small groups. The decline is a result of loss of habitat due to agricultural and urban development as well as oil and gas exploration practices. Primary existing threats include loss of habitat due to agricultural development, urbanization, and petroleum extraction, and the use of rodenticides for ground squirrel control. Overgrazing and associated loss of shrub cover is a concern in some areas. These threats will be alleviated by the implementation of the San Joaquin Endangered Species Recovery Plan. There are some discussions that the current drought within the region “may” have a profound effect onto the species however, this concern remains just that and, no proven data surveys have shown drought to be of a threat as yet. Thank you for reading and, have a nice weekend from all the team at International Animal Rescue Foundation. DESPITE man-made circulation systems, concrete canals and pipes that bring water from distant mountains to farms and populated areas California is still under an intense three year drought. California’s drought not only affects local citizens but the economy, wildlife and can increase crime and anti-social behavior. Scientists have already stated a “mega-drought” could be one of the worst in California’s history that’s reduced much Californian landscape to a brown frazzled patch of soil. The people of Los Angeles are not new to drought or lack of rainfall though. Back in 2011 California recorded a total of 12 inches of rainfall, in 2012 eight inches of rainfall was recorded and, in 2013 a measly (two inches) of rain was recorded for the entire year. Records for the first six months of 2014 recorded a total of one inch of rainfall. 2015 records to date do show a slight improvement although nothing to write home about. Drought has been recorded within the “California area” since 4000 BC way before the state was founded. Climatologists recently recorded a dry period of some 1,300 years via the use of measuring aged tree stump rings. And, more recently, an extended dry period that began about 1,050 years ago likely helped cause the absolute collapse of intricate Southwest American-Indian societies. Meanwhile while this three year extended drought is being recorded as “possibly” the worst “mega-drought” in California’s history floods have also took their toll onto the state of America founded in 1850. While the area has been affected by what we consider natural drought since 4000 BC floods have also been noted although these are mostly caused by riverine flooding. Floods of 1825 changed the course of the Los Angeles River from its western outlet into Santa Monica Bay following the course of Ballona Creek to a southern outlet at San Pedro Bay near where it is today. January 1850 floods devastated Sacramento. Image: 1955-1956 California was hit by some of the worst floods in 90 years. The Feather River, the Sacramento River’s main tributary in the northern Sierra, rose to 250,000 cubic feet per second and flooded Yuba City and Marysville. The flood destroyed hundreds of buildings (image above) and killed at least 60 people. Such flooding provided support for A. D. Edmonston’s 1951 plan to build the Oroville dam. December 1861 residents within California witnessed the largest floods since the state was founded in 1850 known as the “Great flood of 1861”. The great flood began December 24th 1861 lasting some forty five days. The “Great flood of 1861” lasted until January 9th to the 12th, 1862. Further flooding events have been noted from 1909, 1933, 1937, 1938, 1939, 1950, 1955, 1964, 1976, 1986, 1995 and 1997. The most recent recorded flooding event for California was noted December 11th 2014. 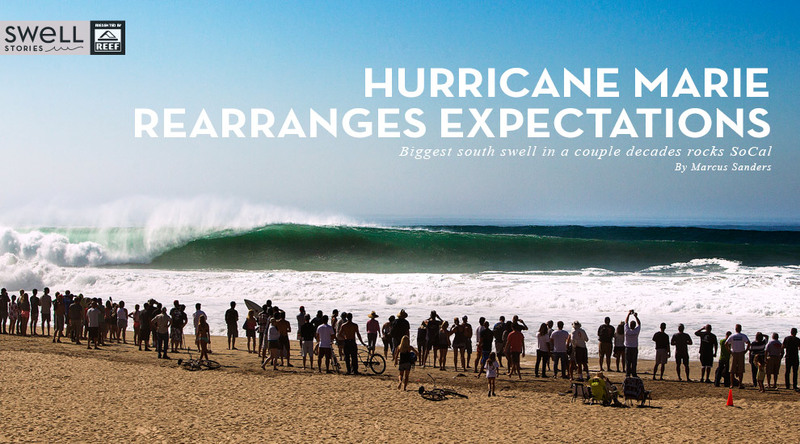 Documented as “Big Wednesday” Hurricane Marie was blamed for this latest event of flooding. Hurricane Marie‘s center remained well away from land throughout its entire existence, its large size brought increased surf to areas from Southwestern Mexico northward to southern California. Off the coast of Los Cabos, three people drowned after their boat capsized in rough seas. In Colima and Oaxaca, heavy rains from outer bands caused flooding, resulting in two fatalities. Similar effects were felt across Baja California Sur. Toward the end of August, Marie brought one of the largest hurricane-related surf events to southern California in decades. Swells of 10 to 15 ft (3.0 to 4.6 m) battered coastal areas, with structural damage occurring on Santa Catalina Island and in the Greater Los Angeles Area. A breakwater near Long Beach sustained $10 million worth of damage, with portions gouged out. One person drowned in the surf near Malibu. Hundreds of ocean rescues, including over 100 in Malibu alone, were attributed to the storm, and overall losses reached $20 million. While floods have been recorded in California’s history a mega-drought is still threatening many communities, farms and rural populations. International Animal Rescue Foundation’s – Environmental News and Media uncovered startling evidence of “some” farmers now selling their collected water instead of crops as the water is netting more profit at the moment than staple crops are. “Climate change is not the main aggressive factor here affecting California’s residents and farming communities” Jose Depre stated. “The main problems surrounding California’s drought is the misuse of water and increasing populations”. “People are mostly to blame here and poor water management rather than just “climate change” stated Depre, Chief Environmental Director for International Animal Rescue Foundation, Say No To Dog Meat and Speak up For the Voiceless.Org”. May 5th 2015 California introduced a newer and tougher water restriction since since the drought of 2012 began. California’s state water board have have approved emergency drought regulations that aim to slash the misuse of water down by some 25%. The measures call for cities and water agencies to reduce water usage by amounts ranging from 8% to 36%. The State Water Resources Control Board drew up the rules to meet Gov. Jerry Brown’s order for a 25% cut in urban water use statewide. It’s the first time that California has ever put in place mandatory reductions in water use. The plan reflects just how bleak the state’s water picture has become. The snowpack in the Sierra Nevada has shrunk to a record low. Groundwater levels have plummeted across much of California, and in some areas of the Central Valley, the wells of hundreds of families have run dry. 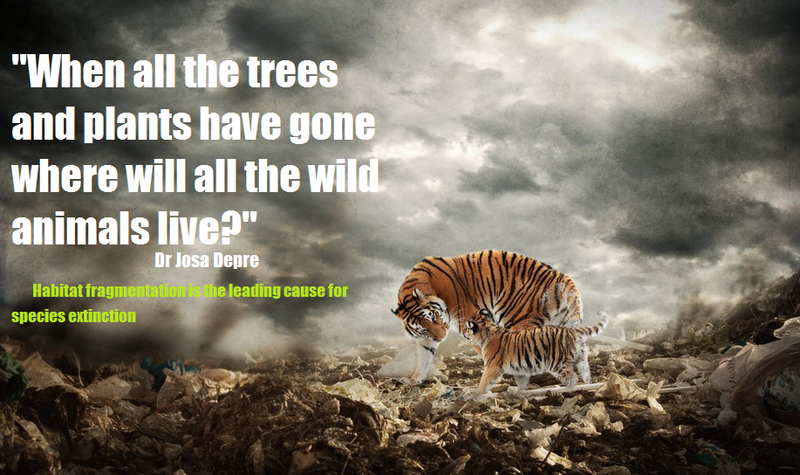 Furthermore while families and farming communities are suffering so too are wildlife. 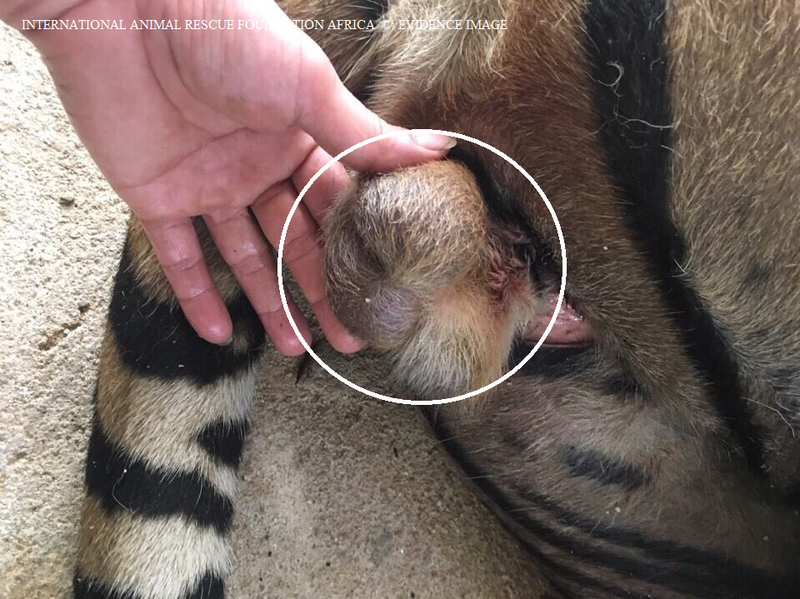 Environmentalists at International Animal Rescue Foundation are now concerned the shortages of water and the impending summer that’s just around the corner will begin to have more than an adverse impact onto local wildlife that are already threatened with drought and wildfires. While the residents of California can voice their concerns and take the relevant actions to adapt to drought the “silent sufferers” are those non-human species that rely on water to live, feed, bathe and hunt. Many native species of flora and fauna are already being forced to change their routines due to the serious ongoing drought that’s reported to increase this summer 2015. Furthermore the threat of wild fires is only around the corner that will increase pressure on native flora and fauna species furthermore. 75% of Southern California’s water supply derives from the Sierra Nevada Snow Pack. Should this 75% melt Southern California’s wildlife will be placed in extreme danger of death. Human civilization will undoubtedly suffer while the economy, businesses and organisations will feel more than hot pressure. Crime and unemployment will rise too followed by murder and gang related crimes. From January 1 through to January 25th of this year CalFire responded to 406 wildfires. But in that same time period for the past five years, the average was just 69 wildfires. Meteorologists don’t expect much rain in 2015 during the usually wet spring months, so the heightened fire danger is expected to continue straight into the summer. One of the very worst recorded wildfires to hit California for “2015” was recorded this February that saw some 50-75 km winds fanning wild fires leading to over five hundred residents being forced to evacuate the two small California towns at the eastern base of the Sierra Nevada. Brown said even rain wasn’t enough to put out the fire because a three-year drought across California created extremely dry timber brush that fueled the flames. Should the three year drought continue its course of destruction thus seeing wildfires occur the effects onto local wildlife would be catastrophic and something that we do not think the locals are prepared for. Wildfires displace animals, displacement means some if not many of these animals caught up in wildfires can unfortunately end up in human populated areas which can cause some concern especially if larger predatory animals are displaced. 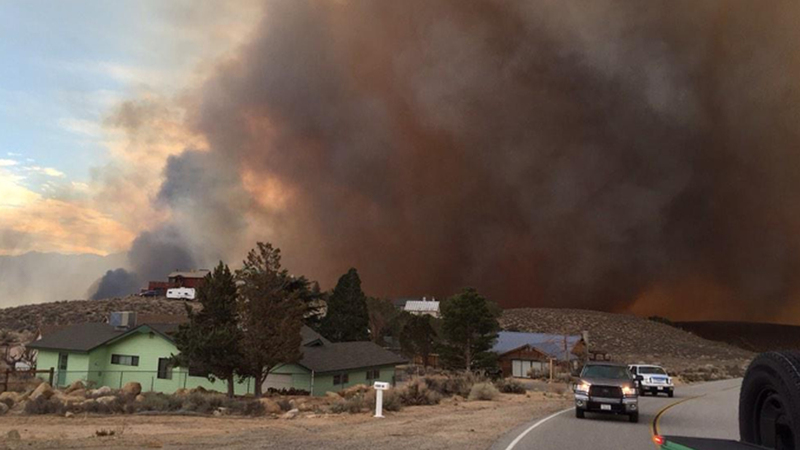 Image: Wild roundfire – 2015 California. International Animal Rescue Foundation has voiced its concerns regarding drought and black bears that could/will begin to breach California’s human populated areas in search of food. Black bears are very adaptive and very mobile, so they will usually be able to take care of their daily needs in a drought situation. But then they’re coming down to the lake to drink a lot, coming down for food. 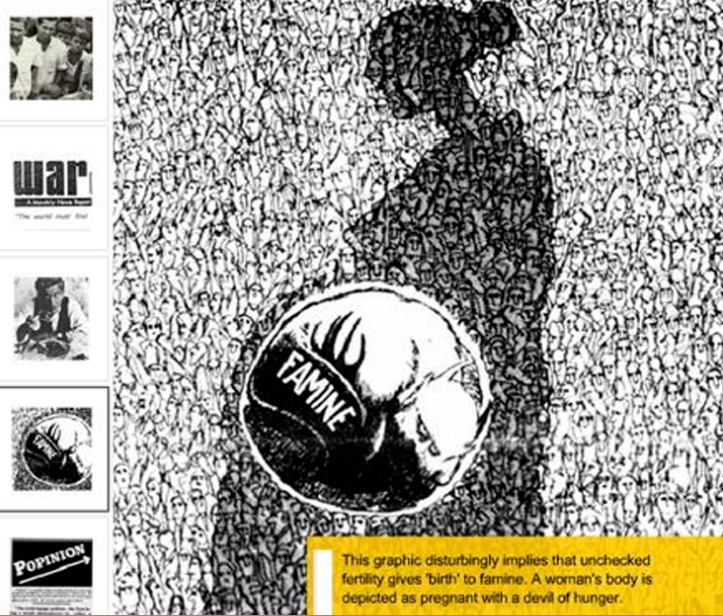 If the drought persists, it greatly increases the odds of a negative interaction with people. When or if this happens we’ll most likely see hunters brought in to control the species to keep populations intact or even possibly a temporary cull of black bears to reduce human species conflict. Farm animals are also affected by California’s “unusual drought” of which residents have reported sightings of cattle and smaller animals within their back gardens. Migrations and hibernation’s are also being thrown of course due to the drought. One commonly known species, the Monarch Butterfly has been seriously affected by the drought of which its populations are decreasing. Monarch butterfly numbers are falling, in part due to lack of food and the changing weather patterns along their migration route. 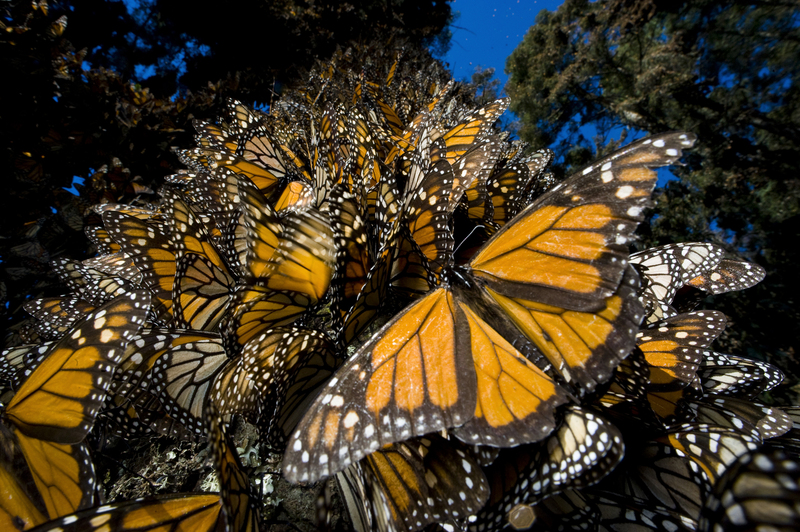 The butterflies’ winter destination is Mexico; they travel thousands of miles south from Canada and the United States. Some settle along the warmer parts of the California coast, like Pacific Grove, near Monterey. The larvae (caterpillars) of monarch butterflies eat “only” milkweed. The larvae stage is the only stage of the monarch butterfly that feeds on milkweed; there is something in milkweed that allows the caterpillar to grow and keep all of the vitamins needed to transform into a beautiful butterfly. In turn, the adult butterflies consume all sorts of different foods including nectar, water and even liquids from some of the fruits we consume. California’s drought has pretty much affected the vast majority of fresh and lush fruit trees that the monarch butterfly requires to thrive on. The World Wildlife Fund for Nature concluded last year in the Sierra Madre of Mexico saw the lowest population count of monarch butterflies since 1993 of which California’s drought was being blamed for. Newts are staying in hibernation for longer periods too which is not considered normal. Newts would normally be seen out and about now. 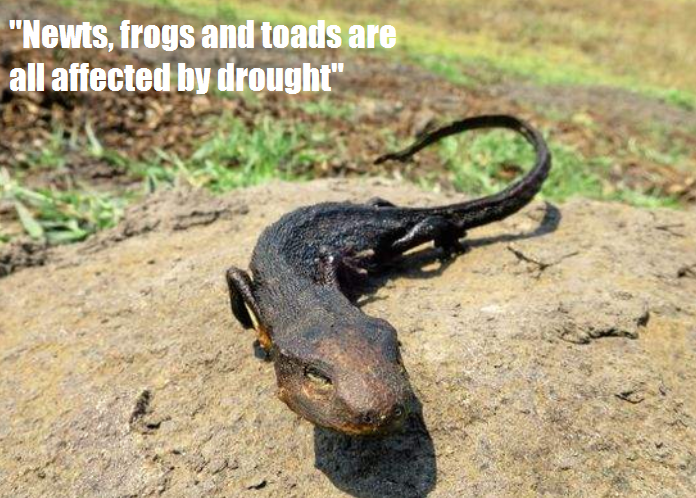 In Ben Lamond both newts, toads and frogs are literally being overcome by drought that’s seen devastating declines and deaths. While most amphibious creatures dig deep into the soil to take evasive action from such harsh environmental events sadly, the evasive actions taken are not helping to reduce the number of newt, frog and, toad deaths all of which are critically important species of fauna that are required to keep insect populations intact. When early settlers arrived in California they drained Some 90% of California’s wetlands to create farmland and goldmines of which has had an adverse effect to amphibious species of fauna. Ecologists are trying though to reverse this trend that would help to increase amphibious species. 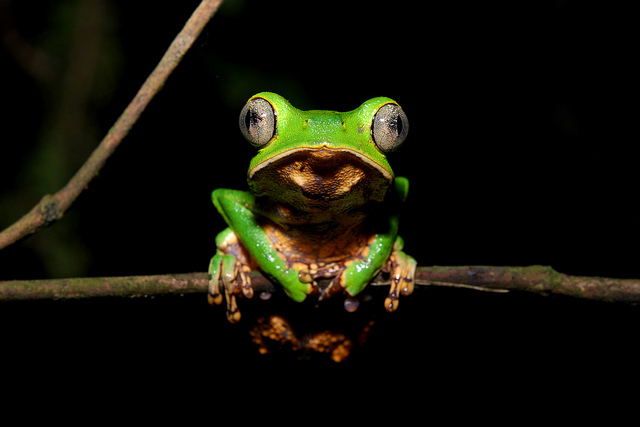 Many amphibians breed and lay their eggs in wetlands. After their aquatic young develop they can survive on land, but they must return to a wetland to create the next generation. With such harsh drought increasing in its third consecutive year many amphibian creatures will be wiped out. Things do work out better for native amphibians though if a wetland dries up for “part of the year”. When it comes to amphibians’ predator control, drought can be a good thing, and timing is everything. While most of the three year drought period has dried up substantial amounts of wetland California’s native frog, toad and newt species will undoubtedly suffer in the long term too. 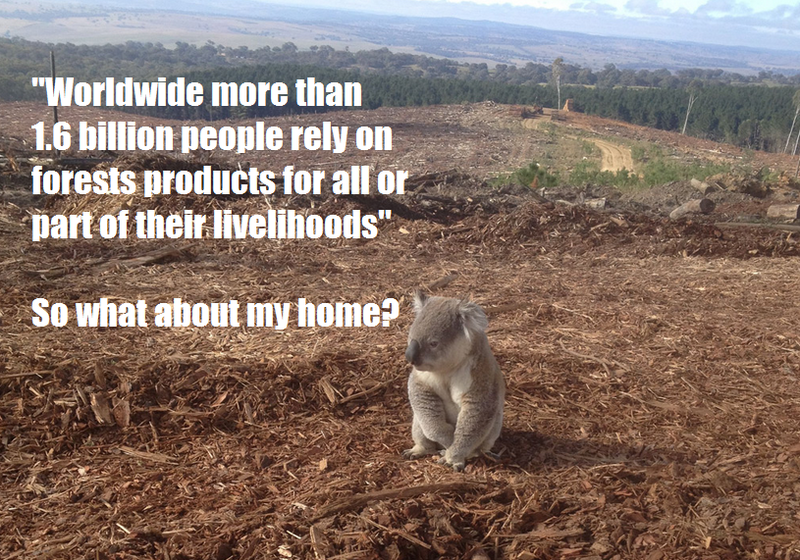 Unfortunately its not just our smaller species of wildlife that are affected by the impending “mega-drought”. 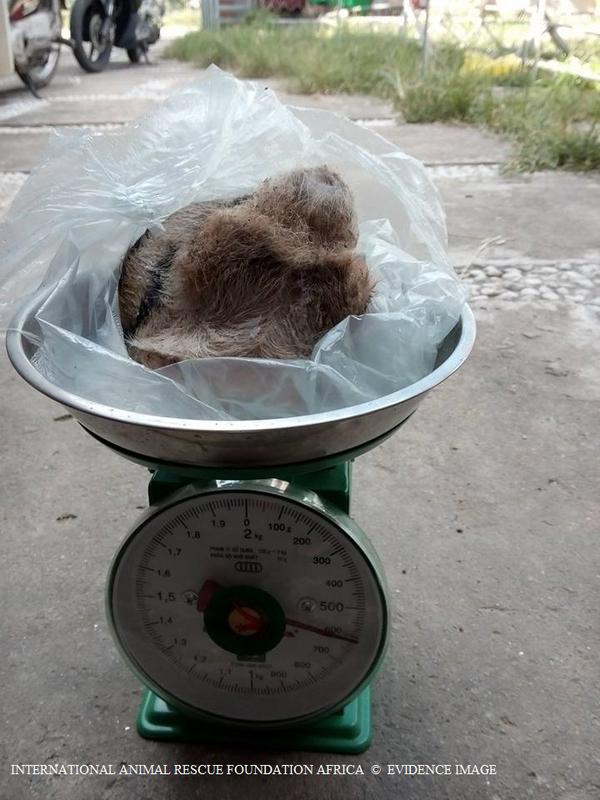 International Animal Rescue Foundation’s marine and fresh water wildlife department has uncovered starling evidence of marine and fresh water mass deaths. 26th May 2015 in Baja, California, thousands of lobsters were washed up on the shoreline dead and alive. Jose Depre, CEO stated “in under two months this is the forth such event occurring on the Baja coast of which the same species of marine life has washed up dead and alive with no apparent reason or cause. Image: Thousands of lobsters was ashore for the third time this year. In under two months many more whales have also without reason nor cause washed up along the coast of California. 24th May 2015 a further seven dead whales were sadly seen washed up onto the shoreline. 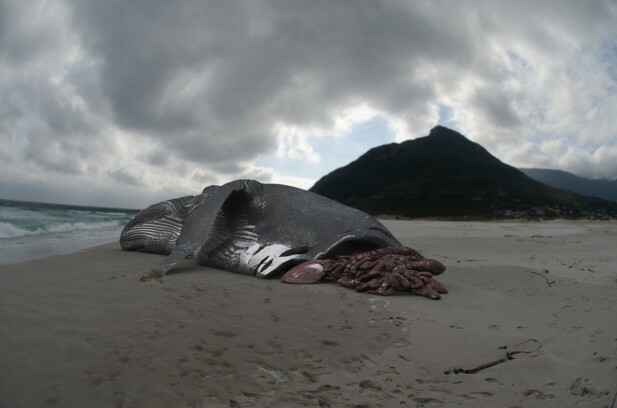 24th April four dead whales were again washed ashore which has baffled scientists. 7th March 2015 – 1,450 Sea lion pups have washed ashore this year ill and dying – ‘possibly 10,000 have died’ in California, America since the drought began three years ago. Some environmental groups are claiming that ships are the main cause of death however, the sheer fact that California also has seal pups and fish washing up now whales and sharks deepens our concerns regarding such deaths. Image: Whales and sharks washing ashore along the coast of California. This year alone California’s Animal Rescue Clinics have been inundated with call after call regarding stranded cold and emaciated sea lion pups. 2015 has been said to be the worst year for sea lions in California of which the drought has been noted as the main blame. Unusually warm ocean water caused fish to move away from the islands where the sea lions give birth. Due to sea lion prey moving further and deeper away, the moms are actually gone away longer from the pups. Because they’re gone longer, the pups aren’t getting enough (food) over time. They’re leaving the islands early, and they’re showing up on the shores here, starving to death. Environmentalists have stated the warmer ocean water has more to do with local conditions in the eastern Pacific. 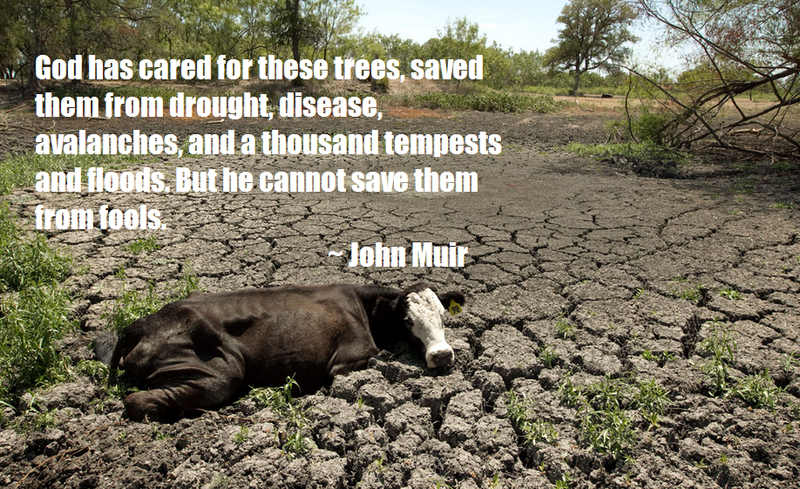 The current drought event of three years hasn’t more to do with global warming or anything along those lines. It’s more of a local climate event that we’re looking at. Experts hope the warmer-than-normal water is a fluke and not a pattern. Meanwhile, while the state of California is under an immense drought California’s citizens are trying their hardest to adapt to what appears to be more locally human induced events rather than as explained “global warming or climate change”. However as much as the local non-celebrity citizens are doing their bit for their state, some celebrities have been noted as either doing nothing or simply flouting the laws. One only has to take a drive around the suburbs of California to view most non-celebrity citizens once lush green lawns now nothing more than a frazzled piece of sod. Look a little further and one will see many celebrity houses with lush green lawns, filled fresh clean swimming pools and, sprinklers to hosepipes at the ready. Its truly crazy and a sharp smack into the face to our local wildlife and communities that would if they dared use a hosepipe fall prey to enforcement. 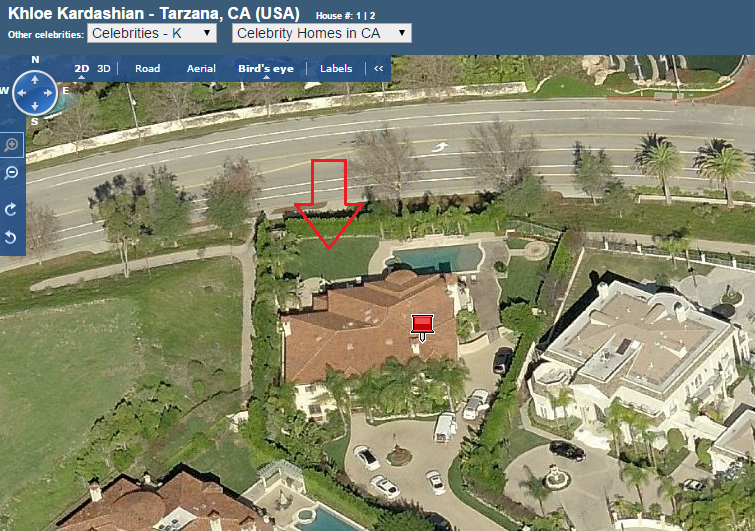 Picture above is celebrity Khloe Kardashian’s home that is decorated with lush green lawns, trees and crisp blue swimming pool. While on the left hand side of this image you can clearly see the impacts of California’s drought slowly but surely destroying even the hardiest of drought resistant grasses. 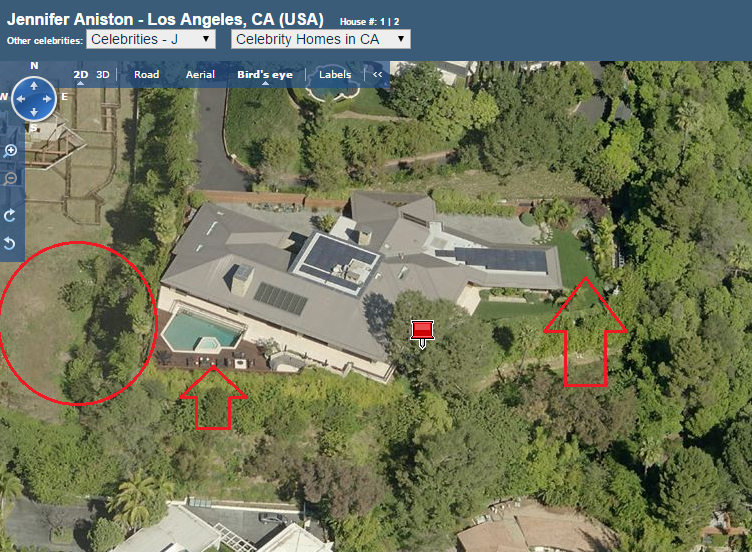 Celebrity Rob Lowe’s immaculate garden can be seen above that is flowing with green lush lawns and shrubs. Meanwhile on either side and circled in red for your attention are the effects of drought. One doesn’t really need to research or understand how much water is required to keep such lawns in this acquired condition. Even within the United Kingdom where rainfall is a weekly occurrence such lawns of this type would not be seen in your everyday garden. 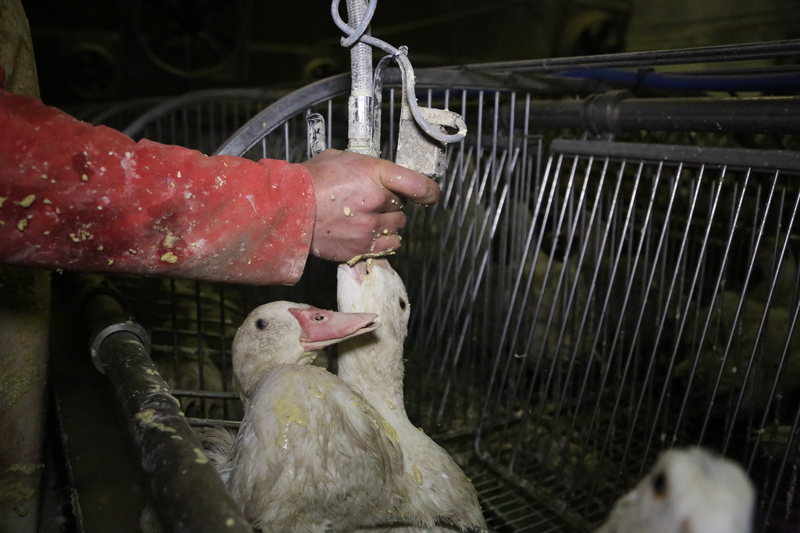 Again this really is a slap in the face of those small animals that have no voice to shout for help. Furthermore if such celebrities that are supposed to be setting a good standard continue to flout the laws so will the local citizens. Celebrity Jennifer Aniston does set a small example with the use of solar panels however then, lets herself and community down with lush green lawns and fresh crisp blue swimming pool. While on the left hand-side of this image one again can view the impacts of California’s three year drought slowly browning even the hardiest of drought resistant lawns. 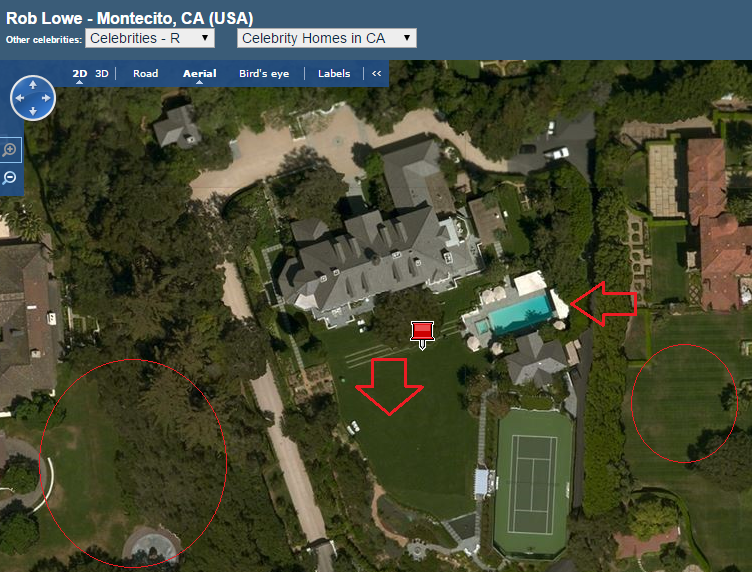 Out of ninety celebrities gardens viewed within California sixty three had lush green lawns and with some thirty eight out of the ninety owning at least five swimming pools. Out of just the ninety observed, forty had hosepipes on show with a sprinkler attachment clearly visible. Only one home that we did view which was that of Kayne Wests that actually showed nothing but bare grey-ish, brown scorched grass. California’s drought is expected to continue through to next year with little or no hope of the much needed rainfall. Concerning is that should the state of California continue to dry up into a slate of rock any such intense and prolonged rainfall will simply run off placing water reservoirs and concrete canals under immense pressure. 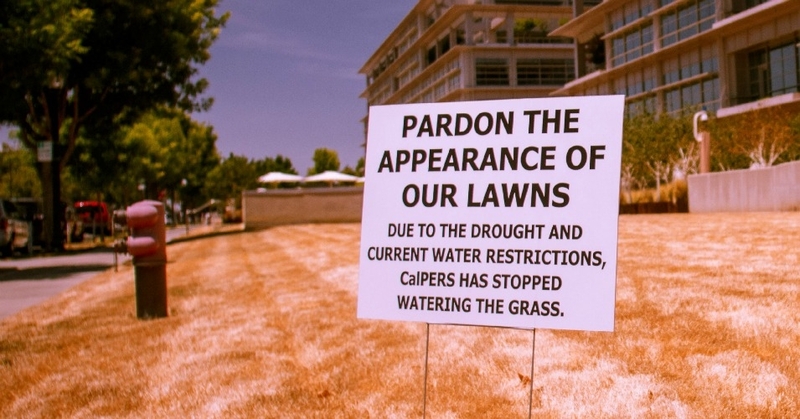 Furthermore the longer dry spells persist with misuse of water the chances of heavy rainfall must be taken on board by all Californian residents. Floods may be uncommon but they can occur very quickly without warning and cause untold damage to large swathes of communities and the local wildlife. There are many community projects that are now taking place all over the state such as Water Free Wednesday, horticultural drought resistant gardening and rebates for those that knowingly help to reduce their water intake. Furthermore tips on how you can save water can be viewed here below.